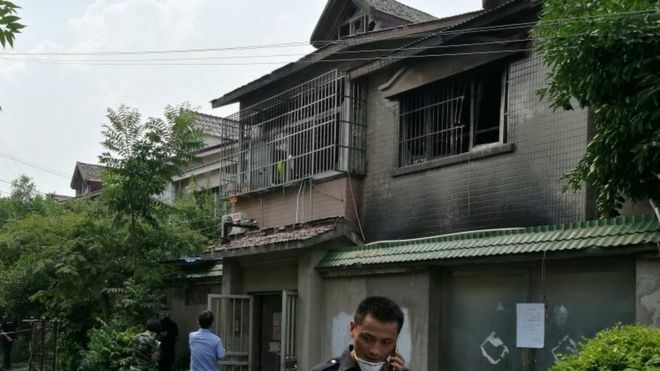 At least 22 people have died after a fire broke out in a two-storey house in eastern China, state media report. Another three people were injured in the city of Changshu, north-west of Shanghai, Xinhua news agency says. It says the fire - that started at about 04:30 local time (20:30 GMT Saturday) - has been put out. Police later arrested a man for allegedly setting the residential building ablaze. The suspect was identified as Jiang, Xinhua reports. It was not immediately known how many people lived in the house in Jiangsu province. An investigation is now under way.